Winter exposes two kinds of people, those that stay locked inside with a book by the fire, and those that explore the outdoor wonders of the season. 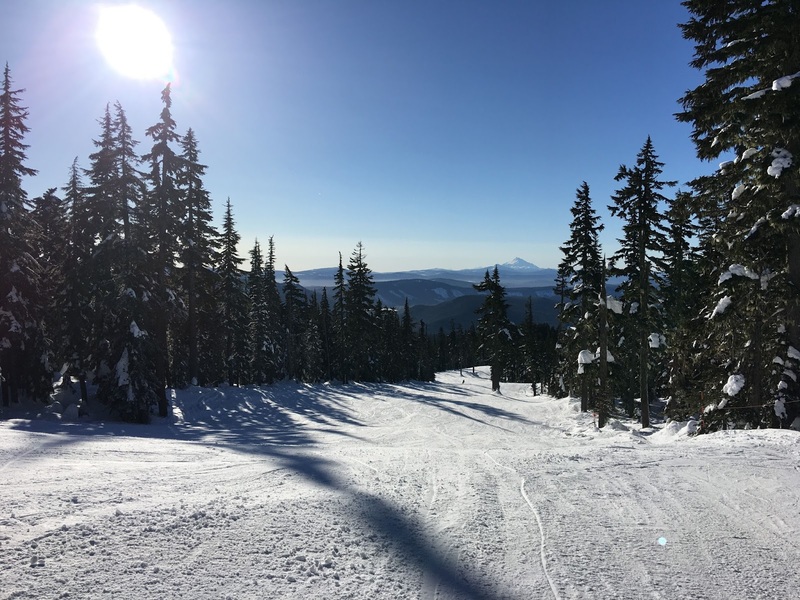 Whether you love to downhill or cross-country ski, snowboard or snowshoe, or just sled down a hill with the kids, you will appreciate these activities to the fullest when you take time to care for your body. Healthy eating and regular exercise prepare you for winter sports, but even with the best preparation, a full day of fun in the snow can challenge even the fittest person. The season has arrived and the snow fun begins. Piling into the car at 6:00 am you and your friends nibble on warm breakfast burritos while driving up the mountain in pitch-black darkness. Eventually the sunlight rises up over the ridge showering the sky with a pink glow. The scent of coffee permeates the car and heavy steam seeps from the travel mugs dissipating into the cold air. There is a sense of quiet anticipation in the car. You are downhill skiing for the first time this year. Working out at the gym five days a week, you’ve strengthened your legs and abs and feel ready for a day of skiing. Skiing and boarding are strenuous and can result in tight hamstrings, sore quadriceps, and overall achy muscles. Jumps, crashes, and overall body abuse while skiing and boarding can take you out of the game in just one day. You feel ready. Zipping up your jacket and donning gloves, you snap into your skis and head down the mountain. It is exhilarating! The snow is packed solid; you fly down the hill at full speed. What a rush! At the bottom, you wait a moment for your friends then ride the lift back to the top. It’s a full day of up and down the mountain with only a 30-minute break in the cafeteria for a hot bowl of vegetable beef soup to warm your belly. At 4:00 pm you meet your friends back at the car to drive home. You are exhausted and only slow down for a moment to make a quick drive through a fast food restaurant to pick up some dinner. Soon you have arrived home and are ready to unload your gear. As you open the door to get out, your muscles stiffen, and you can barely move. It’s a mutiny; your muscles refuse to obey. It takes all your conscious effort to command each muscle to follow your orders. In the end, you drag your body out of the car, unload your gear, and haul yourself into the house. Thank goodness you are off work tomorrow. How will you function when you can barely move without pain? Instead of turning to the medicine cabinet treat yourself to a massage. Sports Massage Therapy can save your day! Massage from a licensed therapist helps your body’s circulation and increases blood flow and the elimination of toxins. Massage releases endorphins making you feel less stressed and anxious which will help you get a good night’s sleep. A sports massage will ease your aches and pains and promote quicker recovery after your hard day of play. By loosening those tight muscles your flexibility will increase and you will be able to move more freely. Soon you will be feeling great and be up for another day on the mountain.